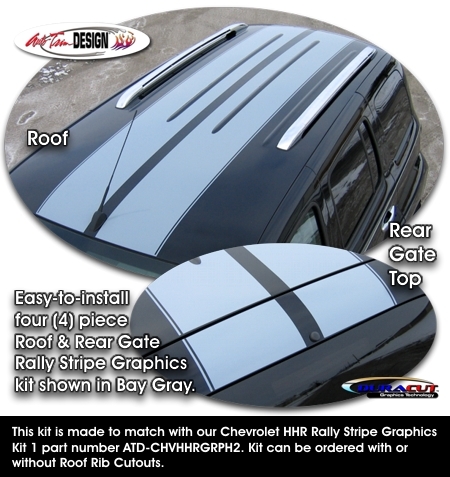 By popular request, we've made this Roof & Rear Gate Rally Stripe graphics kit available for your '06-'11 Chevrolet HHR. Easy-to-install kit is packaged as a set of four (4) pieces with a classic .20" (5.08mm) pinstripe at the outside perimeter as shown. 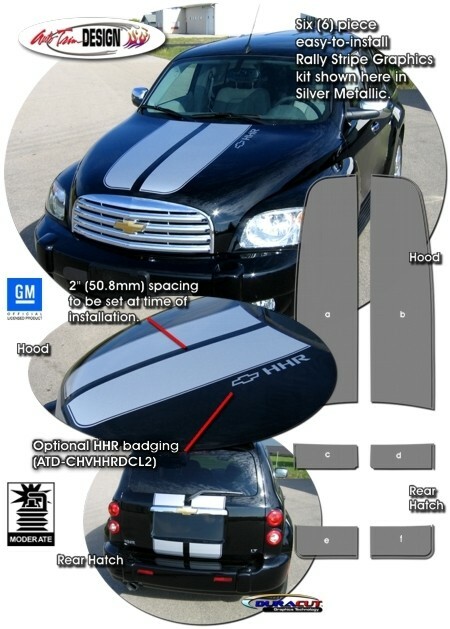 This kit matches with our Chevrolet HHR Rally Stripe Graphics Kit 1, part number ATD-CHVHHRGRPH2. They're PRECUT and ready to install in a wide variety of colors - NO TRIMMING required! This kit is specifically made for the '06-'11 Chevrolet HHR factory roof and rear gate top areas and will not fit any other vehicle. Select from kit choices with or without Roof Rib cutouts.